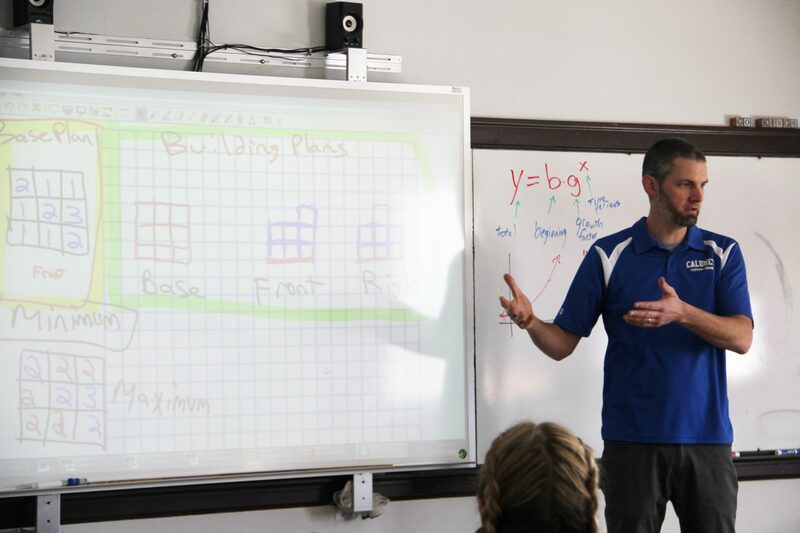 Chris Woods, host of the STEM Everyday podcast and math teacher in Michigan explains what motivated him to become a teacher in this article, part of the Proud Michigan Educator Campaign (#proudMIeducator). It took me a long time to realize that I was meant to be a teacher. For a while, I thought I was going to be a doctor. Then I thought maybe I’d be an engineer. Always, I was striving for what I thought of as big, important jobs. During my third year at Michigan Tech, as a chemical engineering major, I slowly realized that the prospect of sitting in an office every day didn’t excite me. I liked the problem solving, but it was hard to see the impact of my efforts when I was only working with formulas and spreadsheets. I clearly remember the day when I decided I needed to do something different. On a crisp fall day in 1996, I made a choice that changed my life. So here I sit, almost 20 years later, enjoying a break from the daily routine – a snow day. I find myself thinking about why I became a teacher in the first place. Was it worth it? Why do I keep teaching? And if I had the chance to go back and do it all over again, would I still choose to teach? I guess there are a lot of reasons people decide to be a teacher. I’m sure people decide to be a teacher for the fame or the million dollar endorsement deals from pencil companies. Okay, maybe not. But no matter what reasons people have for getting into teaching, there’s only one reason I teach and only one reason I’ll continue to teach: the kids. Kids are in desperate need of someone to listen to them. They need someone who cares about them, on their good days and on their angry, frustrated, sad, everything-going-wrong days. So I choose to listen to them, and I choose to care about them. Sure, I may be talking about solving equations in my Algebra class, but I’m constantly looking around the room to see which students are engaged and which students are giving up. While my students are working, I make an extra effort to wander around the room and ask, “How are you today?” and actually listen to their answers, especially those from kids who seem to need something extra that day. Chris Woods says that when kids are inspired, they see the amazing things they can become someday such as problem solvers. inventors, innovators and world changers. Too often, we just give kids what we think they need. We give them phones and technology, worksheets, lectures, projects, and plenty of content and standards. I’m convinced, though, that what kids really need is someone who will inspire them. How often do we give an equal dose of “inspiration” with our “instruction”? To that end, I take a few minutes every day in class to share an article or video that I’ve come across that shows some sort of innovation or interesting idea. The students always start asking questions about the ideas, and then they start throwing out possible problems with the idea or ways to make the idea better. These discussions don’t take a lot of time out of the lesson, and I can usually tie them into that day’s content if I’m creative. The best part, though, is that kids start to see the amazing things that are being created or accomplished in the world. And when they’re inspired, they see the amazing things they can become someday. Problem solvers. Inventors. Innovators. World changers. And it all starts right there in my classroom. I’ll admit, some days I forget to share something in class. But my students never forget. They’ll ask, “Mr. Woods, what’s today’s link of the day?” or “Did you take any pictures of cool stuff under your microscope?” They really just want to be inspired. They’re looking for learning to come alive, to leave the pages of the textbook and become part of the real world. I am a Proud Michigan Educator. When the kids are the ones asking to be challenged and inspired, I know I made the right choice to become a teacher. When kids share their frustrations and their hopes with me, I am inspired to keep teaching. And when I see my former students around town, and they thank me for caring about them even when they “made things difficult” in my classroom, I’m motivated to keep doing my best to inspire every student every day. So I rest assured that on the good days, and on the angry, frustrated, sad, everything-going-wrong days, that I’m helping kids. And teaching them and inspiring them and caring about them is something I love to do. Because teaching isn’t just a big, important job- it’s the most important job. 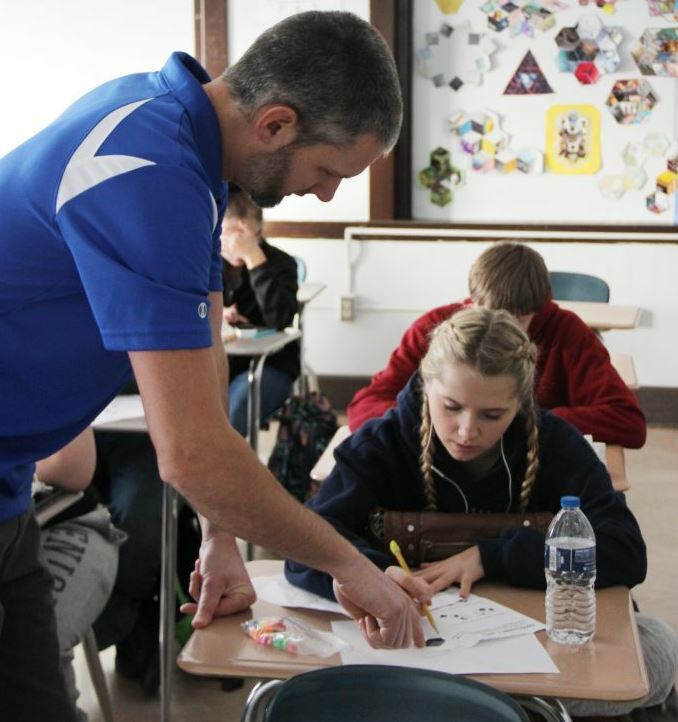 This article is part of the Proud Michigan Educator Campaign (#proudMIeducator) developed by the Michigan Department of Education to acknowledge, elevate and celebrate outstanding educators throughout the state. The Michigan Department of Education is thrilled to be partnering with a number of educators and organizations (including Level Up Village) to launch a blog series celebrating Proud Michigan Educators. Also look for a new video series and social media updates on Facebook and Twitter using the #proudMIeducator hashtag. Read Chris Wood’s recent article (STEM: Moving from Buzzword to Inspiration) on the Level Up Village blog and listen to his interview with Level Up Village’s Co-Founders here on the STEM Everyday podcast. Chris Woods: Chris teaches high school math in the northernmost district in Michigan, and loves finding STEM in the real world. He also hosts the STEM Everyday podcast. Thankful to hear inspiring stories like yours, Chris! "Problem solving and helping people every day" are two incredible reasons to wake up each morning. My grand daughter is studying to become a teacher. She loves kids and is a school bus driver now. She sounds like you and I know she will do great. Thanks for sharing your story, Chris. You not only inspire your students but you inspire teachers, like me. Think of how your decisions have impacted so many students and many are not even yours! Thanks for all you do!